Welcome to the Department of Disability Services (DS). As a TAMU faculty member you play a very important role in promoting access for students with disabilities. Students affiliated with DS are encouraged to collaborate with their instructors to ensure that they have the accommodations they need to provide them with equal access to their education. 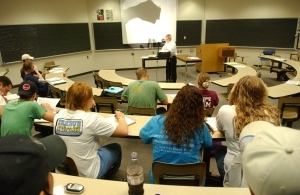 During the fall and spring semesters, DS serves over 2000 students with various disabilities including, but not limited to, students with learning disabilities, visual impairments, hearing impairments, physical impairments, mental health disabilities, and other health related impairments. Accommodations provided to students are determined on an individual basis. The information on the DS website is intended to provide faculty with more in-depth information concerning working with DS and with students with disabilities. DS staff members are also available to faculty and staff for consultation and presentations on disability related topics. For questions regarding a specific student’s accommodations, please contact the Access Coordinator listed on the student’s accommodations letter.